After a long time, MacBook Air has entered the market and it is better than all the previous models. The new machine is lighter, thinner, and even faster. With a Retina display, T2 Security Chip, and 12 hours of battery, this is the new MacBook Air with most expensive MacBook Air pricing too. But, how does it compare to the old MacBook Airs? Is it a worthy upgrade? Let’s check it out in the MacBook Air review below and you can buy this using Amazon Upcoming Sale. 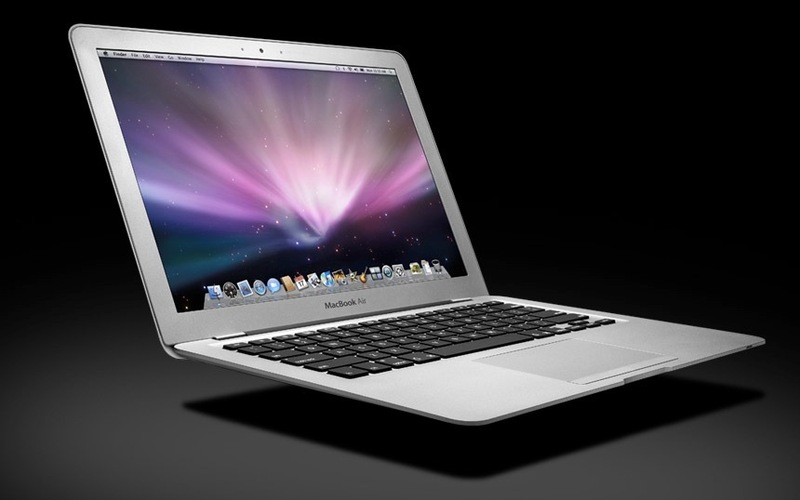 The first MacBook Air took the world with utter surprise- thanks to the incredible design which was thin and crisp. It was the only reason why companies switched to Ultrabook- premium-ness plus light design. And, 2018 MacBook Air is no revolution this time. The laptop has been kept thin and light with some improvements in the design. It is thinner and lighter than the previous one with dimensions of 11.97 x 8.36 x 0.61 inches. Along with the beautiful design, you see a 13.3-inch display and 8th-generation fanless dual-core processor and 8GB of RAM underneath the hood. You can see two USB-C (Thunderbolt 3) ports at the left. And that’s it. One of them can be used for charging and another for your proprietary work. Keeping USB-C has made it look even thinner. On the right hand, you see a 3.5mm headphone jack which is a rare thing you see in Apple Products now. The keyboard has been redesigned which means it is the new Butterfly keyboard- the third generation to be more specific. As per Apple, the keyboard provides four times more key stability than a standard laptop keyboard. The key travel is less which makes it less responsive than others. But, the clicky nature of the keys gives you satisfaction while typing. MacBooks have been encountering some issues in its keyboard for quite a long time now, but this time Apple has addressed all of them and made new gen keyboard. The MacBook Air (2018) comes with Touch ID to log into the laptop with your fingerprint. It works fast and is very responsive- touch and go kind. There is no Touch Bar like it was in high-end MacBook Pros of 2017. The trackpad is 20% larger now than the standard trackpad on previous MacBook Airs. It is a good thing which makes more room for the clicky things you want to do. The trackpad is smooth, clean and comfortable to play with. Apple has used recycled aluminum to make the body of Apple. Still, it looks premium and feels like Air. Coming to the speakers, they have also got better now with twice the bass of the previous model’s and 25% louder volume. Under the hood, it has the T2 Security Chip which adds some security features to the device and we have seen this chip in some of the iPhones too. Speakers in it are loud, clear and give the brilliant experience of listening to music or watching films. Apple MacBook Air 2018 comes in three color variants: Space Gray, Gold, and Silver. Coming to the display, the Apple MacBook Air 2018 packs a 13.3-inch Retina Display with 2560 x 1600 pixels of resolution. The bezels got thin and aspect ratio got to 16:10. The colors come out really bright and clear which gives it a true premium feel every time you use it. All said and done, the new MacBook Air is nothing revolutionary in terms of design but the thinner and lighter design steals the show. Under the hood, the 2018 MacBook Air comes with 1.6GHz dual-core Intel Core i5 processor which can Turbo Boost up to 3.6GHz and has 4MB L3 cache. The processor is coupled with 8GB of 2,133MHz LPDDR3 RAM. Honestly, the 13-inch MacBook Pro is much faster than this MacBook Air and the MacBook Pro is just $100 expensive than this. So, for some heavy tasks, you might need MacBook Pro. The T2 security chips come in handy too while offloading some tasks from the main processor. The chip can transcode HEVC videos too. So, this is the big and major comeback by Apple- the T2 chip taking a load from the main processor. On the Geekbench 4, the new MacBook Air scored 4,247 and 7,832 respectively on single-core and multi-core test which was better than 12-inch MacBook but less than the MacBook Pro 2017. Apple MacBook Air 2018 is capable of giving 12 hours of local video playback or 12 hours of wireless web use- claimed by Apple. It is a great thing to start off with. With Retina display which will chew battery fast, Apple MacBook Air still manages to give decent battery with just dual-core processor. Even MacBook Pro gives you 10 hours of battery life- so this one is one heck of a metal. In 1080p video loop test with the screen set to 50% brightness, the device game around 11 hours. Charging is a bit slow which might take hours to go from zero to a hundred. But, overall battery life is amazing. In terms of battery life there are various options available in the market and you can buy them using Flipkart Sale Today Offer. The new MacBook Air is a mixed bag of both excitement and disappointment. It is lightweight, well designed, looks premium and is improved in many things. So, if you have an old Air, then this a worthy upgrade. But, if you are thriving for power, then this is a disappointment. More storage means you are going to pay more and the eradication of microSD card is still a mystery. So, going from Windows to Mac is not something any user will do but if you are a MacBook lover, then just know that- it is the lightest and most powerful MacBook Air ever made.